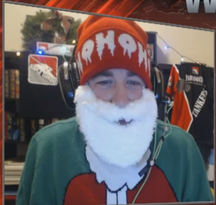 When it comes to WGLNA, Jsmooth is about as old-school as they come. 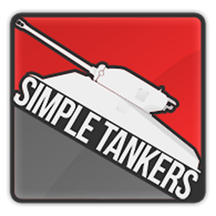 He's been in the league since before WGLNA was even officially a thing, grinding his way through the various growing pains of eSports, and now sits as captain of Simple Tankers, one of the most successful legacy teams still running. 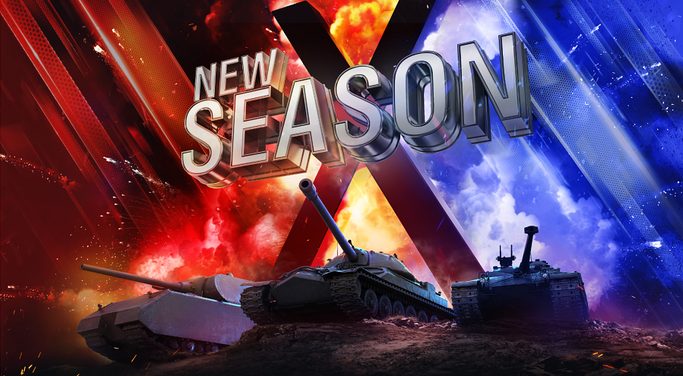 Wargaming caught up with the top tanker and Top Gun fanatic to get his thoughts on Season II, the switch to tier X, and what really happened behind the scenes when the High Woltage Caballers stepped in and swiped three of his top players. Wargaming: Take us back to the early days of WGLNA, and what the league was like when it was first getting started. Jsmooth: The early days were really different, because nobody knew what to expect. We went from playing the game as a hobby to all of a sudden we were being called professionals and being asked to do all kinds of stuff. It was a real steep learning curve going from a gamer in general to people starting to look at you as a pro. You have to check yourself when typing in pub games and any type of social media, because now you're a representative of the league, and I think that aspect is still catching up with players today. WG: How did your friends and family react when you first told them you were an eSports pro? Jsmooth: It's still a really discussed topic, at least in my family. I'm one of the older guys, so the first tournament I won was back in Ural Steel before the Gold League was even around. They flew our team out to Russia, and the first time I told my parents and my family that I was flying to Russia to play a video game, they couldn't believe it. They were like, "Are you kidding me? Is this for real?" But I was like, "Yep, I'm going!" Different people react to it different ways, but to me, playing games has just always been a hobby, and I'd like to keep it that way. For others, it might be what they want to do, so they have the whole social media persona and they're out there showing their name, but I prefer to keep it more on the down-low. WG: How have you seen your team evolve throughout the years? Jsmooth: It's interesting, because when we first started, we were all in college, but now we're a bit older and we're all into our career and doing other things. So our team is a little different than other teams out there just because of our age. We still have some college guys that we bring in, but I'd say four or five of us out of 10 are already out of school and working on our careers. This is something we just do on the side for fun. WG: Simple Tankers lost three players to High Woltage Caballers last year. What do you think of the super teams being formed? A few of the top Refuse guys just joined SIMP -- is that the future of the league? Jsmooth: Being one of the teams that got picked from for one of those super teams, it's a bit disheartening. We finished third the prior season, and we were really looking forward to taking the next step as a team, but that's when the business side of things came into play. Just because you're friends and just because you're playing together, there is a business aspect to this league, and they made a business decision for themselves to form Caballers and try to take things to the next level. Me being a little more old-school and a coach myself, I know chemistry is a huge part of our particular eSport. There are seven guys playing on your team. [...] This isn't two or three individuals trying to play together, this game takes all ten people on your team working together. If you're not gelling, especially when you're dealing with the younger generation, you tend to get the infighting that goes along with it. That's what I was interested in. I knew Caballers and I knew Refuse had the talent to win, but could they keep it together when they hit diversity and lost? Caballers didn't finish out on top either in WGLNA or in the Pacific Rumble, and you already saw one of their main guys, HeavyTwenty, retire. Another one of their main guys, ToFuSmurF, seems to be pulling back a little bit from his active involvement, so already you're starting to see the team fray a little bit. Then you take a look at another team like eLevate, and they're already done. They brought in these European players who thought they were going to [assert] their dominance in WGLNA, and it didn't happen. They played well, but they didn't play well enough. So yeah, these super teams might have the talent, but if you don't have the chemistry, these teams tend to fall apart once they hit adversity. When it comes to Simple Tankers, we haven't hit the echelon we've hoped for yet. We've never played in the finals match. We've been close, twice, playing in the semifinals, but our team is still around and we're still having a good time. We're all friends outside of the game, and we joke that if we make it to the finals, it's more like a get-together for our team and our friends than it is a business trip. Maybe that's why we lack in the success, because we don't treat everything like a business decision, but that's just not who we are. WG: How did you find out that ToFu, Wallhacks, and Angry_Guy were all leaving for Caballers? Jsmooth: ToFu let me know toward the end of Season 5 that they were looking to leave. It was not necessarily that they were going to leave, but that they wanted to see some changes, whether that was changing our team around and bringing in some different players or them leaving all together and forming their own team. There were some different ideas thrown out. ToFu and Wallhacks are upstanding guys. Even before they asked Angry to leave, as he was the third guy, they asked if it was OK to even ask him. I'm not the type of guy to keep someone from some place he wants to go, so I told them that as long as I was able to make my pitch to keep him here, it was fine. There was definitely dialogue. There was no knife in the back or anything like that. That goes back to our team chemistry. We were all friends first, so there's that respect level among the guys, even if they go to different teams. WG: This season, the switch was made to tier X. How has the change affected Simple Tankers? Jsmooth: To be honest, I wasn't sure what to expect. Our team is comprised of a lot more old-school players. We were playing back in the beta, so obviously, we were playing tier X a lot. But the last few years, I was so focused on playing tier VIIIs, I didn't have the chance to play much of tier Xs, but I knew a bunch of the other guys on the team had been playing Xs all along. We all know the game well enough that we can adjust to tier Xs pretty easily. We all knew the tier X tanks already, so it's not like we were switching to tier VI or something where we'd have to figure everything out all over again. I wasn't sure what to expect, but we just have so much experience, I knew our team would adjust well. WG: This season, four teams are heading to Las Vegas for the live finals. If you had to look ahead, who are the four teams you see advancing? Jsmooth: You'd have to put High Woltage Caballers and Noble in there, then I'd love to put Simple Tankers in there with our experience, but it's going to be a grind. For the fourth team, I see either SIMP or o7 getting in. I just think the five returning teams this season really have a huge advantage over the seven new teams that are in the Gold League. With the high turnover, you just don't have the same amount of experience, so the way I see it, the four teams heading to the finals will be from the five returning teams. But I'm really excited to see the finals headed back to Vegas. It's going to be great. WG: Any truth to the rumor that you're retiring after this season? Jsmooth: This is probably my last season of being as active as I am. Obviously, I'm a married guy, and my wife has been very gracious to allow me to enjoy my hobby as much as I have, but I have to handle some other responsibilities, especially as the competition gets bigger and the team's aspirations get higher. I don't want to be the one holding them back because I can't put the time into it. This will be my last season as active as I am, so enjoy the fun face-offs that you're getting like Santa Smooth, as they'll probably be coming to an end soon.